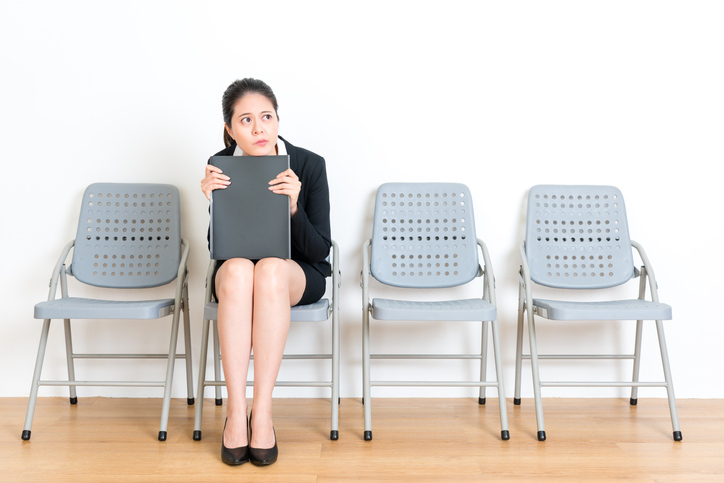 Job interview anxiety got you down? We’re here to help. Being nervous isn’t a bad thing. It’s your body’s fight-or-flight response trying to protect you. But sometimes that normal response can be overpowering, causing you to doubt yourself and flub questions. Luckily, it’s possible to reduce those nervous feelings with a few techniques. The best way to reduce interview question-related anxiety is to already know the answers to any questions your interviewer could ask. Although you might not be able to figure out every single topic they could quiz you on, a quick online search can teach you quite a bit about your potential employer. Research everything you can about the company. Know a bit of the company’s history, the company culture, and see if you can find any information about your interviewer. Next, find out where you fit with this company. What is it that you can do in this position that nobody else can do? Come in with specific statistics if you can (for instance, increased page views by ___%, reduced customer service call time by ___%, increased product turnover time by ___$, improved your safety rating to ___ level, etc.). For company-specific questions, check out Glassdoor. Users upload questions for their interviews so you can be sure to impress. Great, now you’re prepared! The next step? Putting all that hard work into practice. If you haven’t been to many interviews (or haven’t interviewed in several years), you might not be comfortable with the process. Being alone in a room with some person you’ve never met quizzing you on your life and experience can be awkward. That’s where practice comes in! Grab a friend or family member and go over questions and answers together. Practice your handshake (it should be firm but not threatening), your eyeline (look them in the eye but don’t stare at them the whole time), and your timing. Make sure your responses don’t go on for longer than 60 seconds or so, unless you’ve got stories that can really capture attention. The more you go through the interview process, the more comfortable you’ll become with yourself and your answers. And that’s the version of yourself interviewers want to see! Obviously, this is easier said than done. On the day of the interview, you have a billion thoughts swirling in your head. Will they like me? Am I even good enough for this position? What was my name again? Psychology Today has several techniques to cut down on these thoughts. These include breathing (“try breathing for a count of 4, hold for 2, and breathe out for a count of 4”), sighing (“take a breath and let it out like a sigh. You’ll probably feel your shoulders relax”), self-compassion (“focus on these words: Wisdom. Strength. Warmth. Nonjudgement), and, interestingly, getting outside of yourself. What does that last one mean? Caring about others. Anxiety makes you think about yourself and how your own personal world is going to end for one reason or another. That’s why Psychology Today recommends you “make a point of focusing on others and being empathetic.” Talk to people about their day and how they’re feeling, from the receptionist to your interviewer to texting friends and family. Realize you’re not alone out there! That’s it. You’ve done everything you can do to get rid of that pesky interview anxiety. Odds are, there’s still a little bit nagging at you under the surface. But you’re the one in control. You’ve prepared your answers and interview style, know the company, and are as calm as you can be. Get in there and show them why you’re the best person for the job! 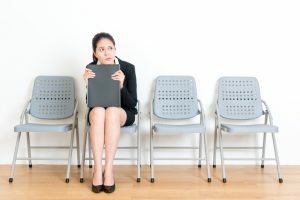 Have you ever been nervous in an interview? How did you handle it? Let us know in the comments section below! Previous Post Answering the Interview Question: Where Do You See Yourself in Five Years?